A Chance to Live in Paradise! 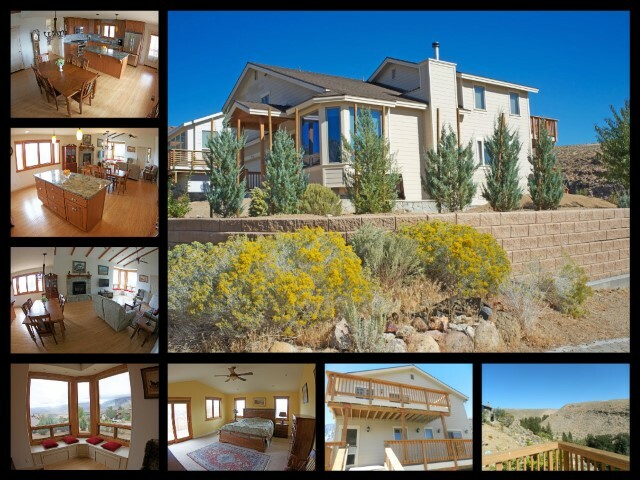 4958 Westridge Road is located in the Paradise Area, located outside of Bishop California. This friendly neighborhood is great for people who like open land and breathtaking views. This property is priced to sell! This custom home sits at the top of the hill in Paradise Estates. Overlooking the Owens Valley and the spectacular Sierra Nevada Mountain Range. Built in 2007 this home is like new. Gently lived in as a 2nd home, the owners took pride in its care. 2 levels of decks, one off of the kitchen, and the other off the master bedroom. Enjoy the tranquil waters of Lower Rock Creek River year round. Slab granite in the kitchen with stainless Kitchen Aid appliances (oven range, dishwasher and microwave). Cathedral ceilings, huge picture windows, expansive master bathroom with features of granite counter tops, dual head shower and Jacuzzi tub. Fruit trees and view galore!